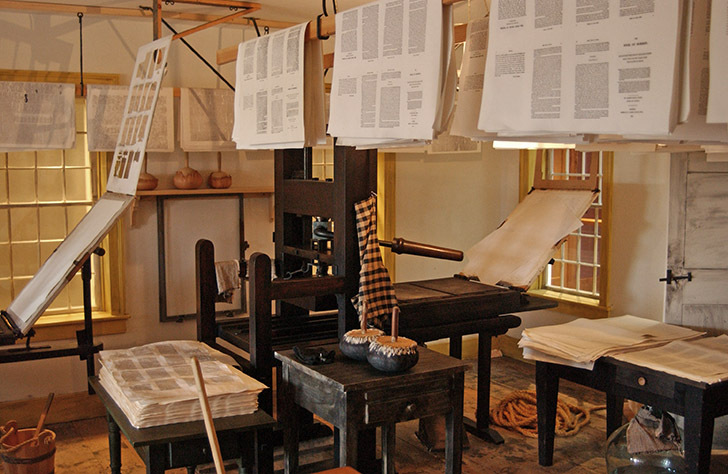 Work of printing the Book of Mormon continues. 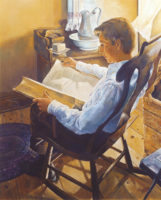 Hyrum Smith is led by the Spirit to go to the press on the Sabbath. He and Oliver Cowdery discover Abner Cole pilfering the Book of Mormon, publishing it in a series in his small newspaper. They ask him to cease and desist. Joseph is brought in from Pennsylvania, warns Cole he will use the law, and convinces Cole to stop his illegal activities. Citizens of Palmyra combine and agree to never purchase the “gold bible.” The Book of Mormon is published. The January 2, 13 and 22, 1830 issues of The Reflector contained unauthorized excerpts from The Book of Mormon. Hyrum took up one of the papers and discovered that the man was printing the Book of Mormon by piecemeal. In the prospectus, Mr. Cole agreed to publish one form of “Joe Smith’s gold bible” each week, and thereby furnish his subscribers with the principal portion of the book for a comparatively small sum. His paper was entitled Dogberry Paper on Winter Hill, and here he had thrown together the most disgusting and insignificant stuff that could be conceived of in juxtaposition with the portion of the Book of Mormon which he had pilfered. He was thus classing the beautiful, unaffected simplicity of this inspired writing with the lowest and most contemptible doggerel that ever was imposed upon any community. Hyrum was shocked at this perversion of common sense and moral feeling, as well as indignant at the unfair and dishonest course Mr. Cole had taken to get possession of the work. 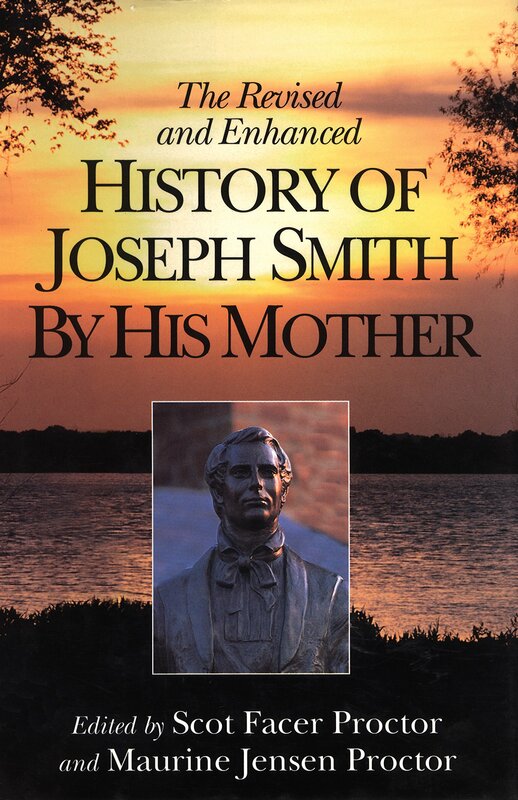 Hyrum and Oliver returned immediately home, and after connecting with Mr. Smith, it was considered necessary to send for Joseph. Accordingly my husband set out as soon as possible for Pennsylvania and returned with Joseph the ensuing Sunday. [iii] The day on which they were expected home was one of the most blustery, cold, and disagreeable that I ever experienced. But they breasted the storm all day long, and when they arrived there, they were nearly stiffened with the cold. However, Joseph made himself comfortable, and, as soon as he could, he went the same night to the printing office. Joseph Smith met Abner Cole here in Grandin’s printing press room. “How do you do, Mr. Smith?” said Cole dryly. At this, the ex-justice began to cool off a little, and finally concluded to submit to an arbitration, which decided that he should stop his proceedings forthwith, so that he made us no further trouble. The Book of Mormon was printed on the 3rd floor, cut and bound on the 2nd floor and put on sale in the book shop of the 1st floor. Joseph, after disposing of this affair, returned to Pennsylvania, but it was not long till another difficulty arose. The inhabitants of the surrounding country, perceiving that the work still went on, were becoming uneasy again and called a large meeting. They gathered their forces together, far and near, and organizing themselves into a committee of the whole, they passed a resolution that they would not purchase the book or suffer their families to do so, as they had done in a former meeting. Not content with this, they sent a deputation to E. B. Grandin who informed him of the resolution passed by the meeting, and also told him the evil consequences which would result to him therefrom. Notice appearing Friday, March 26, 1830 in the Wayne Sentinel in Palmyra, New York. First edition Book of Mormon on display in the Grandin complex. When Joseph came, he went immediately with Martin Harris to Grandin and succeeded in removing his fears, so that he went on with the work until the books were printed, which was in the spring of 1830. [iii] This shows that the round trip of 270 miles from Palmyra to Harmony took about six or seven days. The date that Joseph arrived to deal with Cole can be reasonably estimated as either Sunday, January 3, or Sunday, January 10, 1830. It could have also been as late as Sunday, January 17, 1830, but this is unlikely, since Joseph would yet return to Harmony, then back to Palmyra, all in the month of January. 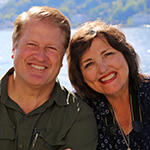 [iv] The binding was done in partnership with Luther Howard on the second floor (see Porter, “Origins,” p. 90). The press used by Grandin printed sheets of paper with eight Book of Mormon pages on each side. After one side was printed, the sheet was hung on a line to dry before the other side was printed. One of these sheets, containing sixteen pages, after being folded, stitched, and cut into a booklet, was called a signature. To print five thousand copies of the first edition of the Book of Mormon, the printer would have needed at least 185,000 sheets of paper, not counting any mistakes or extras. [v] This action took place sometime in January 1830.